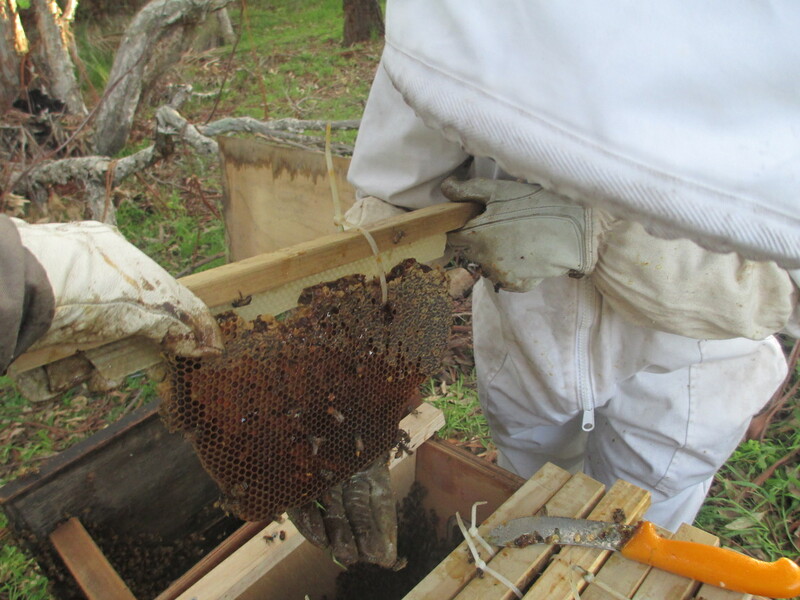 We have read quite a lot about the different styles of hives and which may be best for the bees. We decided we would experiment! 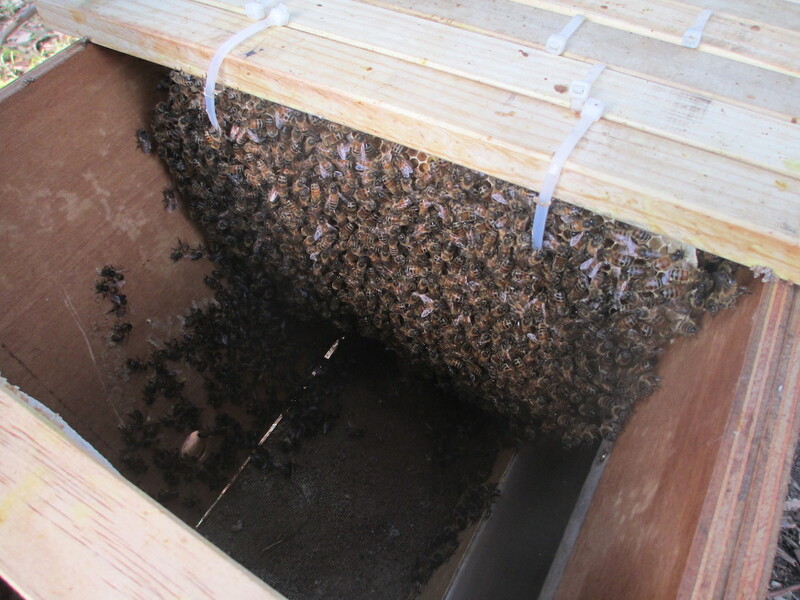 The box of bees was getting really full so we decided to have a Topbar hive made for this area. 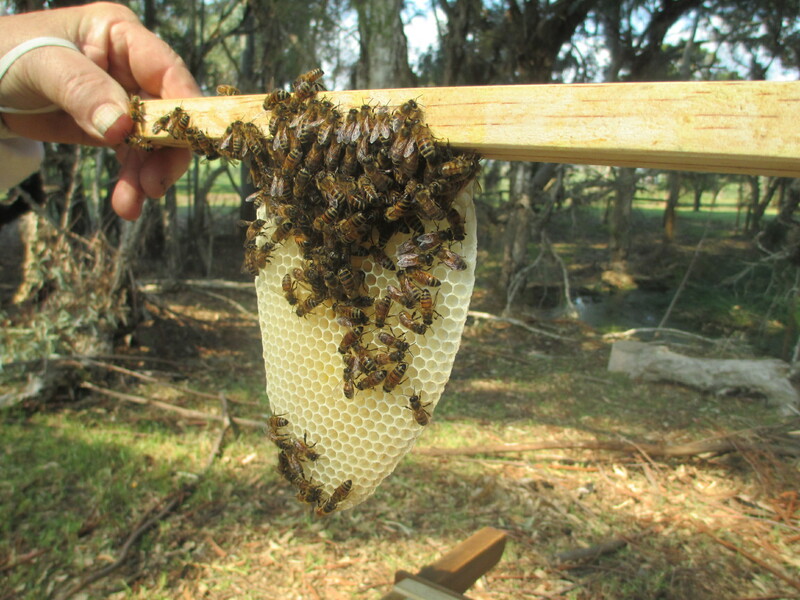 We cut the comb from the box, getting as much as we could-especially comb with brood. This was cable tied to the top bars. Comb cut from the box and cable tied to the top bars. 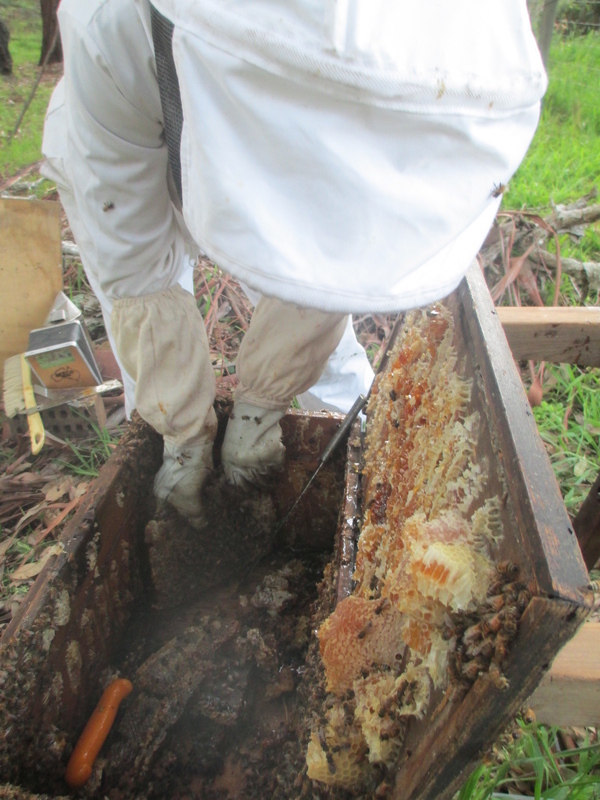 When we had as much as we could, we replaced the Topbar hive in the same position and direction as the box, closed it up and left it for a week. 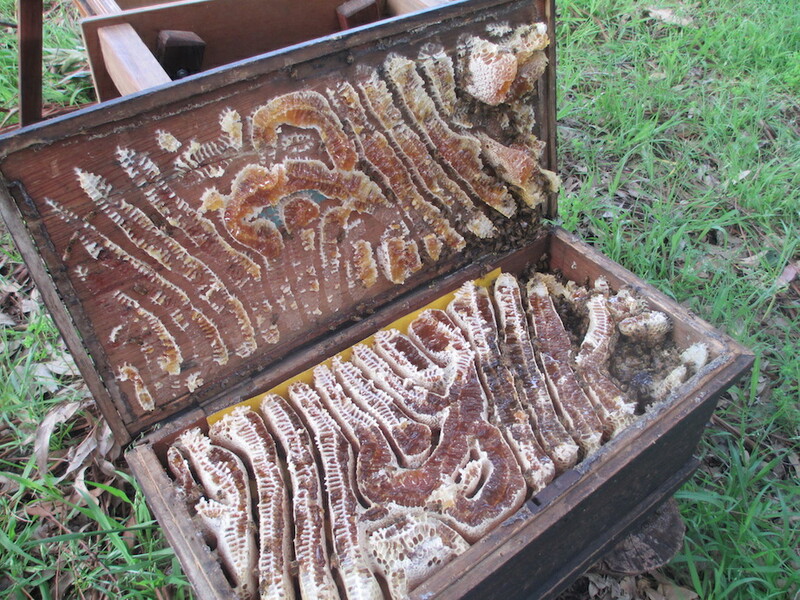 A week later, a few of the bits of comb had fallen off and were removed, but the bees had strengthened several others and even started creating their own fresh comb! 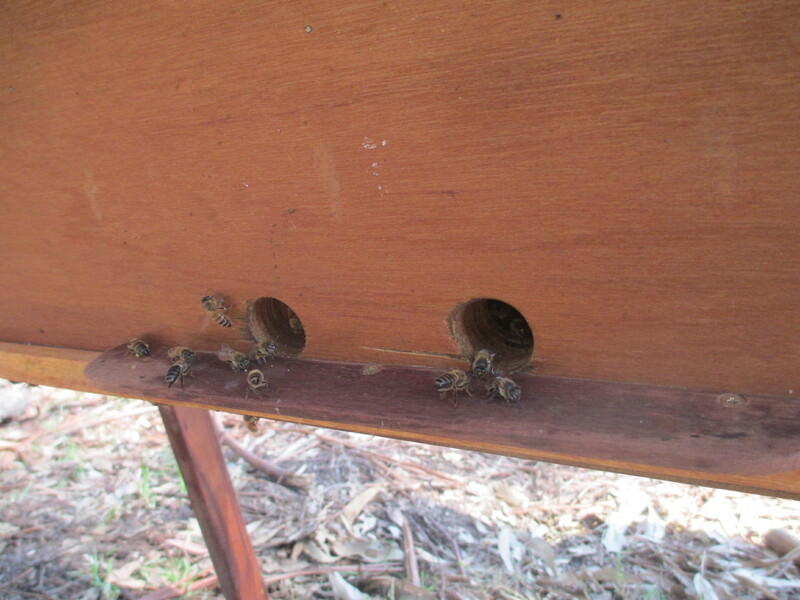 The bee numbers looked really healthy, especially given the numbers that were lost in the process of transferring from the box to the Topbar. The bees are coming and going very happily!